California is a Spanish business name for a burger restaurant. Name of an US state. Derived from the Latin expression “fornax warm” (hot as an oven). It was used by Spanish missionaries to reach this region. 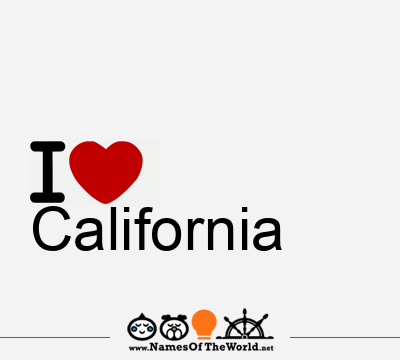 Download the image I love California and share it in your social profiles, web o blog! Do you want an image of the name California in arabic, chinese, gotic, etc. letters? Go to Picnames.com and create your own signature!